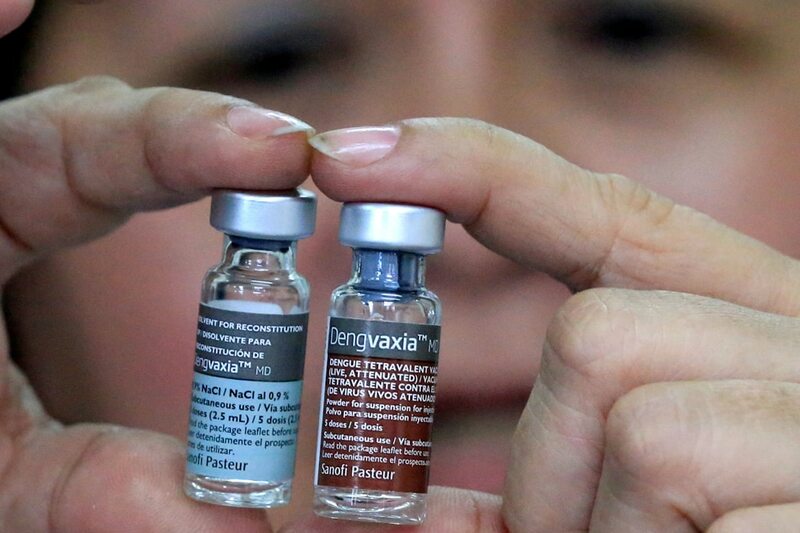 MANILA - French drug-maker Sanofi Pasteur has been fined P100,000 for violating the Food and Drug Administration (FDA) law over the product registration of its controversial vaccine Dengvaxia, which has triggered a scare among thousands immunized with the anti-dengue drug. The FDA also suspended Dengvaxia's certificate of product registration for a year, saying the company had failed to comply with regulatory requirements. "Records and evidence clearly showed that respondent failed to comply with its post-marketing authorization issuance commitments, and that it has exhibited the propensity to not comply with this office's regulatory requirements for its products, Dengvaxia and Dengvaxia MD," the FDA said in a decision dated Dec. 29, 2017. The FDA earlier ordered the suspension of the sale of Dengvaxia after Sanofi admitted that the vaccine could cause more severe symptoms of dengue if administered on those who have not had the mosquito-borne illness before. Sanofi's admission prompted the government to suspend its nationwide dengue immunization program, under which some 830,000 children have been injected with the drug. It also prompted lawmakers to launch a legislative inquiry into the matter. In one hearing, Sanofi claimed Dengvaxia remains to be "safe and efficacious."